The Porsche Team is set for the 84th running of the Le Mans 24 Hours race on June 18 and 19, 2016: The team has come together for the official team photograph with the two Porsche 919 Hybrids and the six drivers. The Porsche Team is ready: The reigning World Champions, Timo Bernhard (DE), Brendon Hartley (NZ) and Mark Webber (AU), alongside the current leaders of the FIA World Endurance Championship, Romain Dumas (FR), Neel Jani (CH) and Marc Lieb (DE) came together for the official team photograph. 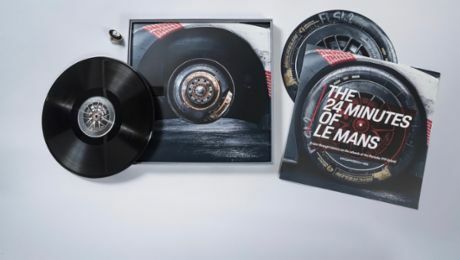 Porsche offers live information during the race as well as stories, pictures, facts and background information about Porsche racing in Le Mans – here in the Porsche Newsroom. The racing strategists have to calculate many factors: refuelling stop, tyre change, racing drivers, accident and pit crew. The countdown is on. The official pre-test has marked the start of the final stage of preparations for the 24 Hours of Le Mans. In 2015, Neel Jani established a record for the 13.629-kilometre lap in France. Taking a look at the steering wheel and its technical features. Part of the Porsche 919 Hybrid’s Le Mans specification is a new headlight system, which gives the car a fresh look. Porsche is presenting its race car for this season.